When the view is this startling a girl needs a serious shade to keep her cool. So thankfully instagram connected me with a fellow fashion hound and brand manager Kandice who had the very thing – Vintage Frames! Personal eyewear consultants to stars like Lady Gaga and Rihanna, these babies mean business. Vintage Frames are all original unworn brandname frames from the 50’s-80’s, they also recreate styles into modern aesthetics. Working with many of the top lifestyle brands today – Vintage Frames educate stylists and designers in eye wear history and help them to relaunch iconic looks of the past from Dior, Dunhill, Porsche and Gucci just to name a few. Amazing right! My outfit? Thanks for asking! I sourced in upstate NYC at the Salvation Army and it’s all vintage thrift. 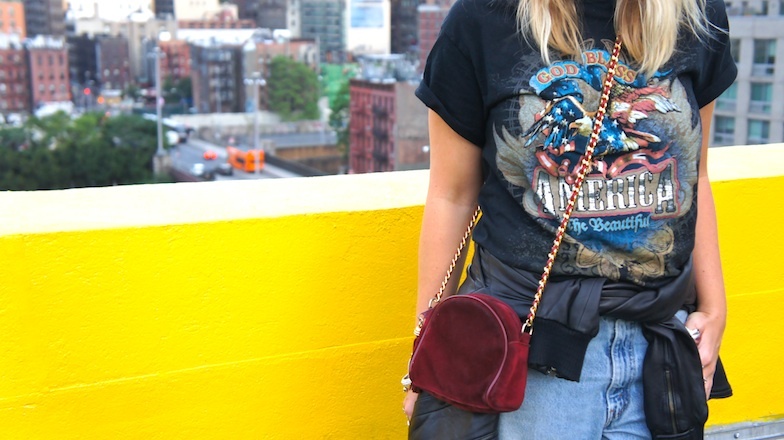 Loving the tee – $2, Men’s vintage Levi’s $8 not only were they were already ripped for me but they taper into a skinny leg to boot and how stunning is the suede Chanel look bag – $10! Leather biker jacket round my waist is from the salvos too – $30. 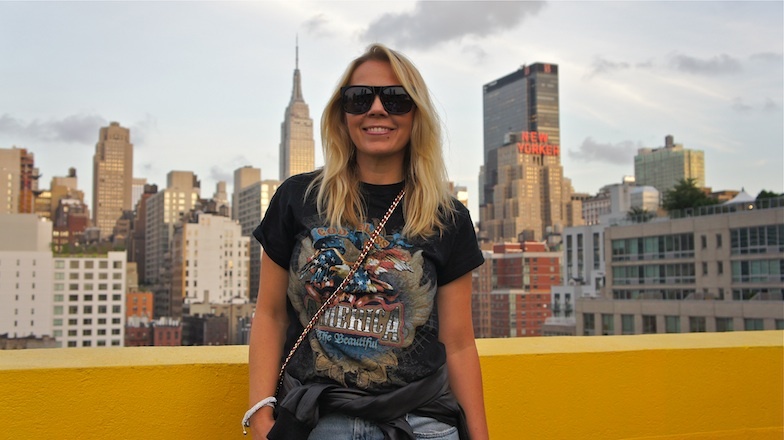 I always look for these kind of pieces when thrifting – cool vintage tees, denim, beat up leather and one of a kind bags…they are great wardrobe staples.